It's always a treat to play with Erik. He is a wonderful improviser with a great sound on all his instruments and full of surprises. 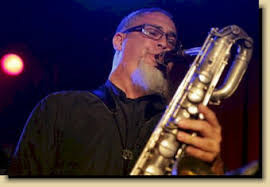 He is also very eclectic, having worked not only with many of the jazz greats but also for many years with the Levon Helm Band animist recently touring regularly with the band Little Feat. And, as I have said many times before, when Erik leads the band we also seem to go to some transcendent place, a rich and fulfilling place for sure. Joining us on drums will be Erik's good friend Bob Weiner, a master of texture and space, not to mention swing, funk, Caribbean, Brazilian... It's going to be a blast so I hope you can join us for a fun night and perhaps stick around for the jam session as well.